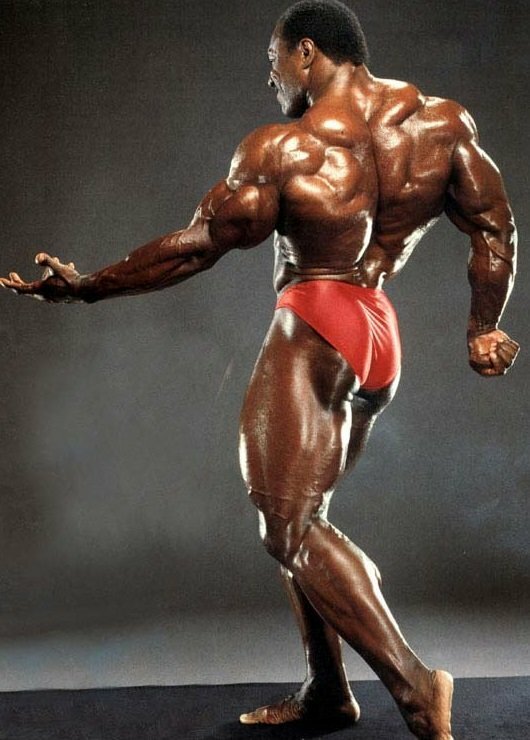 Lee Haney (born November 11, 1959 in Spartanburg, South Carolina) is a former American IFBB professional bodybuilder. Haney is the joint record holder, along with Ronnie Coleman, for winning the most Mr. Olympia titles, with eight. 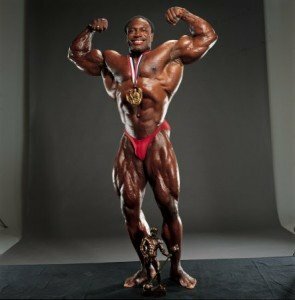 Lee “Total-Lee Awesome” Haney’s IFBB Mr. Olympia career comprises a catalog of superlatives: he won more IFBB Mr. Olympia’s than anyone else (eight: 1984-1991); defeated more bodybuilders than anyone else in IFBB Mr. Olympia competition (83); traveled more extensively in doing so (all his IFBB Mr. Olympia wins were in different cities – five in the United States and three in Europe); and in his last IFBB Mr. Olympia victory (1991, when he handed Dorian Yates his last defeat) weighed 248 pounds, which up until that time made him the heaviest winner ever. 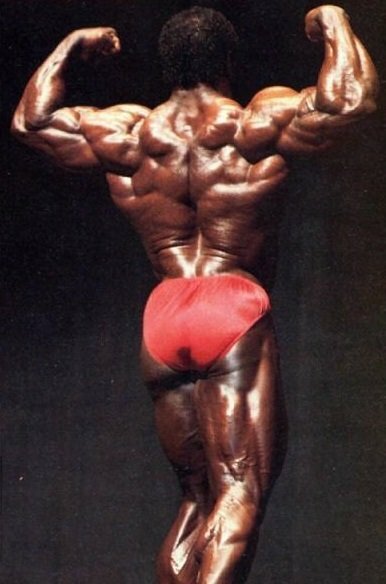 Lee Haney has one older brother, and two younger sisters. Father was a truck driver, mother was a housewife. Religion is Southern Baptist. Excelled in football when he was a teenager. Went to Broom High School; then to Livingstone College in Salisbury, North Carolina where he accepted a scholarship to play football. Received a degree in Juvenile Corrections. Haney opened and owned two fitness centers by the time he was 21 years old. His gyms used to be called ‘The Animal Kingdom’, but now they are called Lee’s World Class Fitness Centers. Met his wife Shirley at the age of six in second grade; and started his romantic relationship during the 9th grade. Has two children, Joshua and Olympia. Mr. Haney is an educator and trainer and works with many world-class athletes. He has served as a member of the President’s Council on Physical Fitness and Sports since December 1998. Mr. Haney owns two fitness centers in Atlanta and has been recognized by the President’s Council on Physical Fitness, the United States Sports Academy and the International Federation of Bodybuilding. Height: 5′ 11″ / 180 cm. Off Season Weight: 260 lbs / 118 kg. Competition Weight: 245 lbs / 111 kg.